If you are looking for the quick and easy guide to copyrighting your book, you have come to the right place. In this article, I’m going to show you how to choose the right copyright application, fill it out, determine how much it will cost, and exactly how to send your application and book(s) into the copyright office. Although this process seems daunting, it is surprisingly not as difficult as many authors worry that it will be. However, because you are dealing with the government and your creative masterpiece at the same time, it pays to be cautious and do things properly. One of the most common questions I hear from self-publishers hasn’t changed at all over the years: “How do I copyright my book?” Authors are often understandably concerned that someone might appropriate the book on which they’ve worked so long and hard. The good news is that any work you create is automatically and immediately protected by copyright. Of course, it is still beneficial to register your work, as it provides extra legal protection and could offset the cost of any necessary legal fees to protect the registered copyright. I usually give authors the 5-Minute Guide to Copyright and advise them to wait until their book is back from the printer to register the copyright. Of course, before sending the book off to printing we have ensured that the book has an accurate and complete copyright page to begin with. But now, book in hand and still a sparkle in the eye, you are ready to register your copyright. Let’s get started. The Copyright Office, a branch of the Library of Congress, is located in the James Madison Memorial Building in Washington, D.C. However, we’re going to their online location at http://www.copyright.gov/. The first step in registering your copyright is finding out which of these two paths you should take to apply. Online Registration— this is done through the electronic Copyright Office (eCO). This is the best, fastest, and least expensive way to register most books, and is the method much preferred by the eCO. The vast majority of written books will use the single application, but the distinction of whether a work will require a single or standard application depends upon a few things. You can use the single application if your book was written by a single author who is also the only claimant to the work, and that work was not made for hire. Any work that is a compilation of multiple works, was created for hire, or was written by multiple authors (or artists, performers, photographers) will use the standard application. If you are unsure about whether you should use the single or standard application, check out this page. How to do it: Use this link to go to the electronic Copyright Office and register for an account to get started. You’ll then follow the prompts to register your book. How long it takes: Most electronically filed applications take up to 9 months to receive their certification, though many will receive theirs earlier. Registration with Paper Forms— The traditional method for filing copyright. Most written books will use the form TX (for literary works), while photography books and other books made up of visual arts will use the VA form (for visual arts). Once you have downloaded the appropriate form you must print it out, fill it in, sign it, and mail it with at least one copy of your manuscript (which the copyright office calls a ‘deposit’) and a check or money order for the application fee of $85. How long it takes: Those who register with paper forms may receive their certifications up to 18 months after they have applied, though some will receive theirs earlier. Regardless of which method you choose, your copyright registration becomes effective on the date that the copyright office receives the complete submission. No. Floppy disks and other removable media such as Zip disks, except for CD-ROMs, are not acceptable. Therefore, the Copyright Office still generally requires a printed copy or audio recording of the work for deposit. However, if you register online using eCO eService, you may attach an electronic copy of your deposit. However, even if you register online, if the Library of Congress requires a hard-copy deposit of your work, you must send what the Library defines as the “best edition” of your work. For further information, see Circular 7b, Best Edition of Published Copyrighted Works for the Collection of the Library of Congress, and Circular 7d, Mandatory Deposit of Copies or Phonorecords for the Library of Congress. Well, there you have it. In practice, this is not a complicated process. Most people will simply log onto the Copyright Office website, create an account and fill out the online form. It doesn’t take long and it’s not very intimidating. In the interest of being thorough, I like to give you all the options so you can decide which suits you best. But don’t neglect this important task. Although your book will still be copyrighted, if you don’t send in the forms and the filing fee, your copyright will not be registered. And it’s the registration that will be critical if there’s any dispute about your copyright in the future. Takeaway: The simplest way to copyright your book is through the online facility provided by the Copyright Office. Be aware of your choices in registering your copyright, but don’t fail to get it done. Author’s Note: When this article was published in 2010, the Copyright Office was dealing with a huge backlog of applications and infringements, and I looked into it. I have kept this diversion from the guide as it is an interesting piece of living history, and also because Pete’s advice about why one might use a courier service may still be relevant to some who are worried about their work being damaged by irradiation. An interesting historical note. Shortly after the Arab terrorists attacked us on 9/11, there were various threats and attacks including the Anthrax attacks and scares. For security reasons, the copyright office had all incoming packages sequestered somewhere by the Postal Service. (In an old salt mine or cavern, I think) It took ages for the Postal Service to get around to checking the packages and processing them, and finally delivering them to the copyright office. The Postal Service had not bothered stamping “received” dates on the parcels, or even tossing them in bags marked with the “received” dates. Or properly organizing them by dates received in any way. Many of the parcels were sent with stamps, and many cancelations were illegible. Thus, there were real issues with the effective dates of copyright registrations, and many registrants were unfortunately stripped of their ability to sue infringers. The copyright office eventually used some pretty sloppy “Kentucky Windage” to guesstimate effective dates for many thousands of registrations, by adding a given number of days to the mailing date and figuring THAT would be the date when the thing SHOULD have been delivered. The guesstimated effective dates were based on legible postmarks. For those with no postmarks . . . tough luck; THEIR effective date was as much as a year or more later than the legitimate effective date would have been. Having been warned – by both a Postal Service and copyright office employee – years before that, my own registrations were not affected much. I haven’t used UPS to send in registrations. Not an answer to the question — but a side issue. If you send a package to the Copyright Office (or any Federal agency), use a courier service — either FedEx or UPS. (Doesn’t matter if you use a ground or air service.) All packages via the USPS are irradiated (to kill biological threats) and the treatment is damaging to many books, especially those printed as digital color copies. More importantly, the service adds a significant delay to the process. FedEX and UPS packages are not irradiated (because you can’t anonymously send packages as you can via USPS) and are not delayed. A publisher I know sent off a copy of a book to a friend who works for a Federal Agency to his business address. Since it was a package, the government routed it through the irradiation process. During irradiation, the book is exposed to ionizing radiation at a level that will kill all biologic organisms. It also, as a side effect, heats the target of the radiation. The result for a moderate sized (150 page) book printed in digital full color was to melt the toner, causing the book to become one solid mass — and the edges of many pages showed signs of scorching. The book, as received, was completely unreadable and unusable. In this case, the book was a gift to a friend. Think of how damaging to your reputation it could be if that was what was received when submitting a book for consideration by a Federal Agency! I hope that this article has helped you to find the information necessary to register your work’s copyright, but if it hasn’t you may want to take a look at the Copyright Office’s in-depth FAQ page. Ryson, no the copyright office does not do that. But this blog post will give you exactly what you need to create your own: https://www.thebookdesigner.com/2010/01/copyright-page-samples-you-can-copy-and-paste-into-your-book/. When i send my book for copyright protection do they give me the ‘copyright page’ to be put inside of my book? In one of my writers’ groups, we have a a couple of questions that no one seems to be able to find the answer to. I’m hoping you can help, Mr. Friedlander. What if a writer self-published a book a few years ago before he knew about the 2-book “deposit” required by the LOC and did not submit a copyright application at that time (not realizing that to challenge an infringement, the book needed to be officially registered with the copyright office). The questions: Can an author submit the application for registration of a copyright one or more years after publication? Can/should an author still submit copies of a book published one or more years ago to LOC? Thank you! In the past, I’ve published nonfiction books through Createspace and used one of their free ISBNS. I included a copyright notice as well, but didn’t register my copyright. I plan to register the copyright for a new book. Can I leave the Createspace ISBN in the book? Also, it seems that registering the copyright is simply to document you own the copyright in case Amazon or anyone else asks for proof of ownership. Is that correct? This question is about: single application vs. standard application. My friend has done the illustrations. I would like to copyright the text. When I fill out the “single application” and type in the book title—I hope that only the text (which I wrote) will be copyrighted under my name. Bottom line: Am I able to copyright the text only (and not the illustrations)—of my published children’s book—using a “single application”? You might(???) be able to use the eCO’s $35 Single Application to register just your text. In the eCO application “Limitation of Claim” section, you should DISCLAIM all the illustrations from the children’s book. In the “Certification” section of the application (bottom section: “Note to Copyright Office (Optional)”), you should also include a brief note that summarizes that you’re only registering the text components of the book, while disclaiming all of your friend’s illustration from your registration. The reason the Copyright Office offers a lower priced $35 Single Application is for those simple registrations. By “disclaiming” the illustrations from your book, your application may have to move to the more expensive Standard Applications, as it requires more work for the copyright examiner to process your copyright application. If you want to play it safe and not delay registering your text copyright, you could simple use the higher priced Standard Application. Sorry if this question is addressed in this thread, but should I copyright both the ebook and the print of the same book? Maureen, assuming the content is identical, you only need one copyright registration. My name is Dauda Fahad from Uganda l wrote novles entitled IN LOVE AND HURTING MEMORY OF FRIENDS and TAKE ME HOME. I really lost courage to write other more am lacking knowledge about copyright to protect my creativity and even a mentor and sponsor to publish my books. Can you please help me? to wait until their book is BACK FROM THE PRINTER TO REGISTER THE COPYRIGHT. QUESTION When the book is printed the copyright information is on the page. How can the book be already printed when if i wait there would not be any copyright information in the book? Third, within 90 days after the publication date, fill out and submit the Copyright registration form and fee to the Library of Congress. That’s incorrect. The copyright statute is specific. To have legal standing, you have to register before the infringement occurs or within THREE-MONTHS of first-publication, rather than 90-days—there’s a difference: February @ 28 (non-leap) days; March @ 31 days; and April @ 30 days = 89 days. That one day can make all the difference in leveraging an out-of-court settlement or pursuing the matter in federal court. It might even be malpractice against your IP attorney who gets this timeframe wrong of which you relied on! See 17 USC § 412 (Registration as prerequisite to certain remedies for infringement). Sorry for the late entry. I noticed your consistent responses to the first step of copyrighting a manuscript is after the book is published. I thought the whole essence of copyrighting in the first place is against intellectual theft. What then protects your ownership to the manuscript if a dubious (well established) literary agent or publisher steals your content? Rich, in the act of writing your book you have established your copyright. Sending in the forms to the Copyright Office simply registers your copyright that already exists. I believe the chance of anyone “stealing” your manuscript is extremely small bordering on nonexistant. Think they said after printing… Not publishing. This is because any changes in content would require a new copyright and printers may ask for some decisions regarding pages matching signatures etc… i.e. if you can shorten it by 400 words we can do it with 5 signatures instead of 6 (signatures being folded book sections before gluing and trimming or stitching). Wayne, sorry, but that’s simply not how it works. A “change in content” does not necessitate a new copyright unless at least 10% of the entire book changes (i.e. mandates a new edition). To repeat: first you publish the book, then you register the copyright. I’m a fan of registering my works before publication. However, the copyright statute permits creatives to register their works WITHIN three-months (not 90-days—there’s a difference) of FIRST-publication to have a “timely” registered copyright that embodies full enforcement to pursue infringers (via statutory damages and potential recoupment of attorney fees). Hi thanks for great guide and info. i’m not from U.S. and i’m from another country. can i use U.S. copyright for my work? and can i write it in my language? Behzad, this article only applies to U.S. copyright law. You would need to find out the laws and practices for the country in which your publishing company is located, that’s what will determine the answer to your question. behzad wrote, “i’m not from U.S. and i’m from another country. You must complete your US copyright registration application in English. However, your books can be written in Persian or any other language to obtain US copyright protection. All international authors, photographers, songwriters, and creatives should timely register their works with the US Copyright Office. If your work is being infringed in your home country, then it’s likely also being infringed here in the US, as digital copies of works can move quickly between borders. International authors (from countries who belong to the Berne Convention [Iran is NOT a member]) don’t have to register their works with the US Copyright Office to pursue US-based infringers. However, they are only eligible to collect actual damages (typically a low dollar amount) plus the disgorgement of unlawful profits (if any!). On the other hand, if an international author has “timely” registered his/her work (BEFORE the infringement occurs or WITHIN three-months of FIRST-publication), s/he can, like US authors, pursue enhance statutory money damages (vs. actual damages) PLUS be eligible to recoup his/her attorney fees from the infringer (statutory damages and attorney fees are at the court’s discretion). No matter if you’re a US or international author, having a timely copyright registration in-hand provides your copyright (intellectual property) attorney with LEVERAGE to push infringers to accept an out-of-court money settlement. If the infringer rejects your settlement offer and the matter proceeds to a US federal court, the infringer is now liable for statutory damages from $750 to $30,000 and up to $150,000 for willful copyright infringement plus your attorney fees and legal costs. Authors typically have limited to zero leverage if their works are not timely registered. It is my first time writing a book. I am planning to send my book to the editor. I have tons of questions but I prefer to take a step at a time. My vital question is, “Should I register copyright my book first before sending to the editor in USA for editing? or should I copyright after the editor is done with editing my book?” I am from Singapore and I understand from you that each country’s copyright law operate within each respective country. Then what you probably want is a literary agent, who will attempt to sell your book to a traditional publisher. I would like to copyright my book in January 2016 – 5 months after it is printed and after distribution has begun – in order to benefit from a full year of a “new” 2016 copyright date listed in the book. Do you foresee any problems? Thanks. So you want to sell a book in June 2015 with a 2016 copyright? I don’t think that’s a good idea, to be honest. I am new at this whole publishing thing. I went through a website called blurb first, and then I wanted to publish on Amazon, so I went through all of their requirements. I didn’t even think about getting a copyright until I went to make a kindle version available. By then I had already submitted my work. Since then I have submitted a second edition in a smaller size book. Both times I have forgotten to include the copyright date in the book somewhere. I already went through the process to get a copyright, it just isn’t in the book anywhere. Is that ok, or should I make a 3rd edition and include the copyright somewhere in the book. Excellent website. Could you please clarify. We are publishing a book for a customer. Do We need to get different copyrights for the cover and the manuscript ? No, Bruno, your copyright will cover the entire work, although artwork or photography from a third party may in fact be separately copyrighted by its creator. If i copy right my book, if any website , put my book in their website for free for public to download, Can i get fine from them? Or from the people who are downloading it? Assel, I’ve never heard of the “Berlin depository” so I can’t help with that. The U.S. Copyright office registers copyright for books published in the U.S. Here’s a link that explains their function: U.S. Copyright Office Information. I’m writing my very first children’s book I’m just waiting for my cousin to finish the illustrations for it and I’m thinking about getting it published through kindle and i was wondering if i should get it copy written first? Marina, the usual way to do this is to publish the book first, then register your copyright. I got it. Publish THEN copyright. I just dont understand the rationale. If I have beta readers, I want the copyright before they get their hands on the manuscript. No? Robert, this is the most common thing that confuses new authors. You already have the copyright to your work, it’s inherent when you create the work. But after the work is finalized and published, that’s when you register the copyright with the Copyright office. The Copyright office doesn’t issue copyrights, they just record your claim to the work through the registration process. If you pursue that route, just make sure you register your work WITHIN three-months of its FIRST-publication! I’m a fan of registering my works before publication. If you’re providing others advance copies of your book, I would register BEFORE releasing copies. You can always submit another registration if you make material changes to the original book (register the updated book as a derivative). This website is an excellent resource. I have a friend who is incarcerated. She absolutely refuses to send her handwritten manuscript to be typed/ formatted for e-publication before having it copyrighted. She sent a previous work to a relative to be edited and typed. The relative stole it and is now selling it on Kindle under her own name. I am helping her and want to know if handwritten copyright pages a legally valid. Can she submit a handwritten deposit (on legal paper) with the copyright application? I am publishing an e-Book on Kindle. I want to file a copyright. I have done this before with my regular physical publications, but this is my first E-Book. I can’t find any instructions for how to manage the E-Book process. Can you please advise? Hi Joel, I am a recent self published, and I live in the Bahamas. I am planning to use my book in the US. and Canada. Is the copyright in my country good enough to protect my work in the U.S. and Canada, or do I need to do a separate copyright registration to protect my book in the United States? Thanks! The best plan is to register your works with the US Copyright Office. Though international authors (from countries who belong to the Berne Convention, like the Bahamas) don’t have to register their works with the US Copyright Office to pursue US-based infringers, they’re only eligible to collect actual damages (typically a low dollar amount) plus the disgorgement of unlawful profits (if any!). Hi Joel, I am self published, and I live in the Bahamas. I have written several books and have sold a pretty good number of each one. I am a pastor, and when I travel for speaking engagements I use this opportunity as an additional way to promote and sell my books. 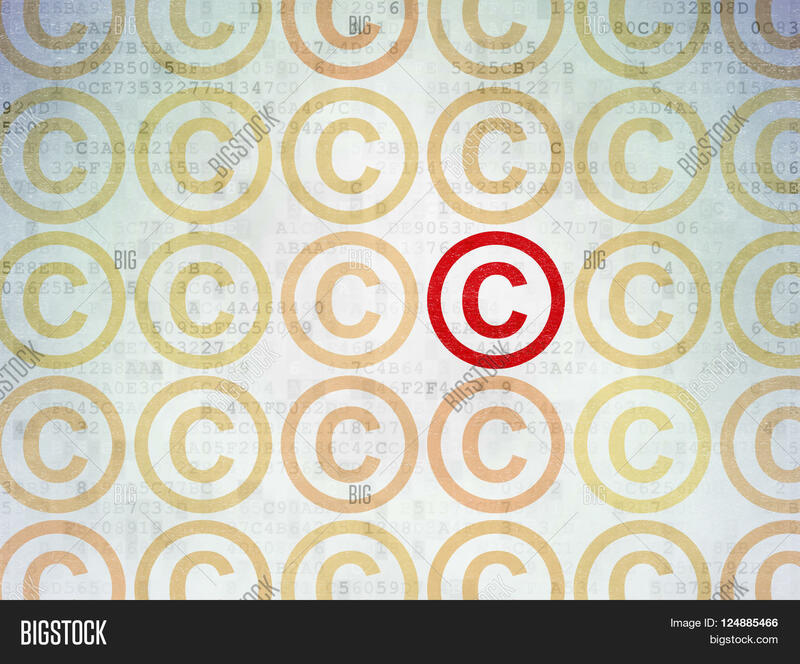 Is the copyright in my country good enough to protect my work in the U.S. and Canada, or do I need to do a separate copyright registration to protect my intellectual property in the United States? I am writing a soon to be self published graphic novel in Africa that will be sent to America and the rest of the world. I am also considering setting up a blog to help market and sell the ebook version. How do i navigate the copyright quagmire that lies before me? TK if the book will be published in Africa (you don’t say which country) it should be copyrighted according to the laws of the country in which the publisher is doing business. Most countries are part of an international copyright convention, so you may not have to do anything else. But you will need to become familiar with the laws in the country of publication. I’m new to this…If you are the author and illustrator, do you file a copyright for the book and illustrations on the same form? Is there a special form for that? THX so much. Gabriel, it all goes on the same form. Hello! I just finished my novel and I’m sending it to agents now, I live in Mexico and I’m wondering if I should register or pre-register my book before sending it to agents. I’m new in this and since I live in Mexico I’m wondering if I should register it. Paula, all the information on my site relates to U.S. copyright laws only, so you will need to check about the specifics of copyright in Mexico. In the U.S. we don’t register the copyright until after the book is published. I would register the book BEFORE sending it out to agents, publishers, and others to preserve all your legal remedies if an infringement occurs in the US. The US Copyright Office permits certain commercial works that are subject to being infringed while the work is being created to be pre-registered: Hollywood films; advertising photographs; music; and books. However, if you’ve already completed your book, it can’t be “pre-register”—just register it has published or un-published. What if I register for a Copywrite on the text of my book before the illustraitions are done. Would the illustraitions still be protected after the fact by just being added to the printed book or eBook, or do I have to re-register to include the illustraitions and thereby protect them as well? I was wondering what information and what date I use for my copyright notice in my book if I have not officially filed a copyright for my book yet? I have wrote a book of poetry and want to self publish. The book is done. I just need to add the copyright page before I print. Any help would be appreciated. You publish the book first, then register the copyright with the Copyright Office (if you’re in the U.S.). Just print the copyright notice on the copyright page, then fill out the forms and send the book in. Thank you for the information, Joel. You’re a Godsend! Hi Joel! Great article. I have a quick question. My mom just got the rights back to two of her published books. One of my mom’s friends checked to see if her books were registered and only one was. I was just wondering what you thought about publishers (Kensington) not registering one of the books they bought and published for her. And now, would you recommend that she copyright the one? I used to keep my works (published and unpublished) on my laptop until the last month, when I accidentally downloaded some malwares along with a pdf reader. Since then I’ve been worried that someone could have stolen my works using the malware. I will be sending the same works to agents and publishers after editing them. Do you think I need to register the copyright? No, you (or your publisher) will register the copyright after the book is published. I’ve finished writing a children story. I need to send my manuscript to a editorial company and I also need to send it out to add illustrations. When would be the best time to send it for copyright registration? I am planning to add many illustrations to my book. Do the publisher could change or reject them before printing? Would it be the best to send the manuscript to a publisher without the illustrations and have them to handle that process? Is there a trust issue on protecting my copyright that I should be concerned during these process. I am havel way through mu novel and am considering self publishing. So, I take it that I should copywrite it once I have a finished product and then send it off to be published. Correct? Books are usually published first, then sent to the Copyright office along with the registration form and fee. There’s no reason to do this before the book has been published. Talia, I am a lawyer (in Indiana), although I do not play one on TV . . . but I am NOT a copyright expert. So consider this as a fairly educated guess, not as legal advice. No one may publish a derivative work based on your work without your permission. Even if the version you’ve registered is not the current version, as long as the changes you’re making are not enough to utterly transform it, it should be obvious if someone bases a derivative work on your book, whichever version they started from. So I would think you’re protected without having to file again. According to this article, you could file again if you wanted to — I can’t speak to that. I sent my eBook to be copyrighted in July 2010 and recently received my certificate. I am now considering changing the title. Is that something I can do without having to get a new copyright? Is it something I can edit on their website? Or do I have to submit it all again? And what about book covers? I submitted mine with one of my other eBooks. If I was to change that, could I do it without having to submit it again? Changing the cover won’t affect the copyright on the text itself. If you change the title, you should make a note about what the original title was when you registered the copyright, and that’s usually on the same page as the copyright notice. I’m not a lawyer in Indiana, or anyplace else, so take this as non-legal advice. If you change your book’s title, are you not making a material change? I’m thinking, yes. As well, if you file a derivative copyright updated registration, it will be the most current/accurate information in the Copyright Office’s on-line (searchable) database. Any experience submitting ebook-only works (.mobi, .epub, etc.) for copyright registration? If so, what is considered the “best edition”? Can these ebook-specific formats be electronically deposited? Hi. I am in the process of putting together my poetry book. i just wanted to know do i have to wait on my cerficate from the dept of copyright before printing ans selling my book? No, you don’t have to wait for the certificate, you can print and sell your book right away. Don’t forget to print the copyright notice in it. can you still put the copyright date on your novel before sending it in to the publisher? I work with InstantPublisher. Suzie, most books can now be uploaded directly to the Library of Congress when you use the online Copyright registration system. This works for most people because they already have a PDF file of the book. You print the copyright notice along with the date in the book when it’s printed, and if you are sending in physical books, you send the printed books along with the paperwork. Thanks for stopping by! Just one of the many things that happened to escape my mind when thinking about the writing process. I do however have a few questions though. Should someone who is attempting to have their book picked up by a publisher go through this process before submitting it to an agency? I’m not sure what the parameters for ownership and copyrighting are when dealing with a large publisher and I’m assuming this is for self publishing needs primarily. Also, in either case, “the best edition” – does that apply to the manuscript alone? Let’s say I have a “finalized version” of it, but the publisher might ask that I add or remove some details, would it need to be resubmitted? Or even if I just decide I had to change something one night, no one has ever seen it, and out of the blue I opt to change a third of the book and introduce a new character. An extreme scenario and one that would best be avoided, but if one were had to make a large change would both copies be added in the record or would it apply as a totally new work? Sorry for the very basic, newbie questions. You don’t need to register the copyright on your book until it’s been printed. You owned the copyright when you wrote the book, this is well known by publishers, agents, and anyone who deals with books. The “best edition” refers to the best “printed” edition, for instance if you printed both hardcovers and softcovers, “best edition” would be the hardcover. It all relates to printed books, since that is what is used when registering copyright. Ask any questions you like, Brian, I’ll try to help out, and thanks for stopping by. Great information Joel. The one thing I would modify slightly is that if you are sending your manuscript to anyone that you don’t completely trust, you might register the copyright even before printing. You can always register again for the final bound version. I am the author of Protect Your Writings: A Legal Guide for Authors, and I would love to explore how we might help one another.